Bird watching is one sport that can be shared and enjoyed by both parents and children. It is an activity that gets the family involved in the great outdoors. They will not only learn about birds but will experience and observe many other situations and events that happen in the wild. Kids will look forward to nature trips like hiking and bird watching. Outdoor activities are a great way to get exercise at the same time you are experiencing nature. To keep the kids interested there are many other outdoor activities (ie. camping, picnicking, kite flying and star gazing) that can be combined with bird watching and hiking. One of the best advantages of bird watching is that it doesn’t require buying bunches of equipment. All that’s needed is a good pair of eyes and a green area. As you become more involved in bird watching and hiking you may want to bring along and pair of bird watching binoculars and a field guide. 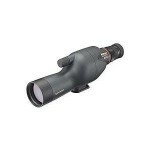 Binoculars will give you an up-close view of birds and a field guide will help you to identify birds and animals. Bird watching can be done at any time and in any season. Each season will offer something a little different. 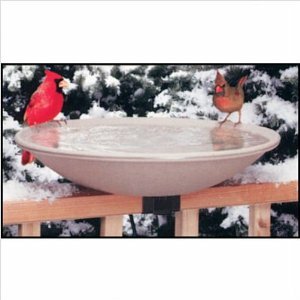 You can set up a bird feeder in the backyard and kids will enjoy the variety of birds that will visit your bird feeder. Spring is the time to observe the first flowers and the first birds of the season. Birds will be migrating back to their nests. It is also a time to enjoy the new foliage and pick berries. The whole family will have fun in the spring with all the activities that it brings. Summer showcases many different animals that are most active at this time. 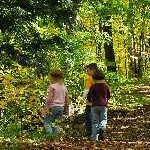 Children can spot squirrels, chipmunks, rabbits and other animals scurrying along the trail. Apple, pears, peaches and other fruiting trees will be ready to be picked. Gathering fruit to take home to make desserts will be a big hit with the whole family. Autumn is when birds start migrating. You will see many species of birds congregating and leaving the area for their long journey to warmer climates. It is a time for exploring and collecting pine cones, acorns, seeds and other items before they are buried by the winter’s snow..
Winter, the coldest of all seasons, will have the children tracking animals and learning how animals survive through the long winter. A great sport to do when bird watching is snowshoeing. The children will like trudging through the snow in the cold. Bird watching or birding will help children increase their knowledge in the field of animals and birds. There are thousands of species of birds worldwide. This is an activity that appeals to children and adults alike. Bird watching with the family will open up many new activities that can be shared by everyone.